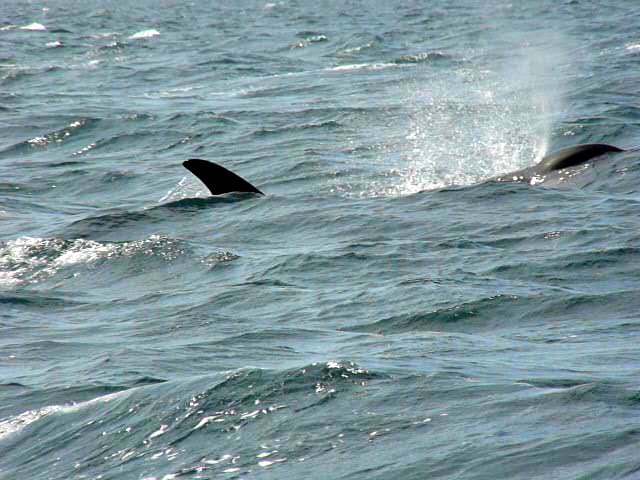 Members of J-K-L, the Southern Resident Community of Killer Whales, came in from the Strait of Juan de Fuca up Haro Strait, just in time for summer! There was a bit of wind and waves, which the whales swam powerfully and gracefully through. We were mesmerized by watching the constant stream of all three pods!